The main purpose of the report is to carry out new calculations in order to secure the existing nuclear power system’s reliability and to investigate the differences between new and old calculations. Included in this task is to develop a model where parts can be exchanged in order to evaluate the suitability of new parts in the system. The new calculations are performed according to the standard IEC 60909-0, first edition. Because of an upcoming modernization of the electric system in the units Ringhals 3 and 4, new short-circuit current calculations have to be made and old calculations have to be examined. The calculations are supposed to cover both systems in Ringhals 3 and 4 (R3 & R4). Since the systems are very similar, a limitation is set to carry out all calculations for R4, not for R3. R4 is chosen because of its approaching power upgrade where the thermal power will increase with 18,6% to 3300 MW. New calculations and safety analyses are conditions for the upgrade to be carried out in a secure way. Among the most important tasks, when planning and operating power systems, are the short-circuit current calculations (SCCs). Faults, i.e. short-circuits, can be minimized in the system through planning and design, and well-performed maintenance and operation of the system, but cannot be totally avoided. 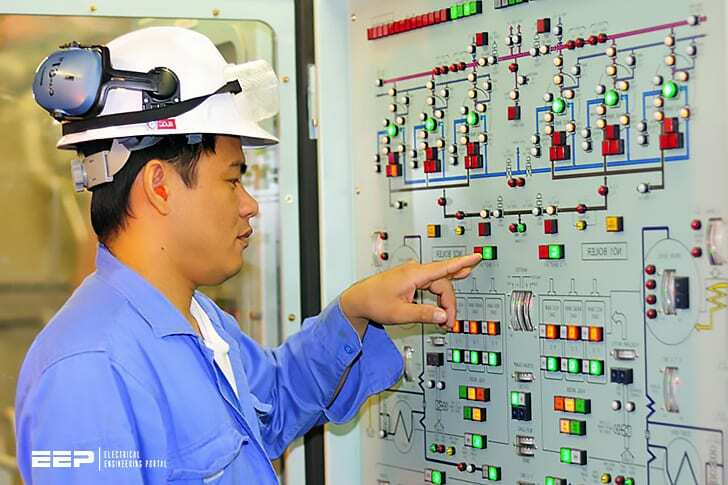 Protection settings and coordination and dimensioning of switchgear require accurate and detailed short-circuit currents because switches and breakers have to be designed to switch off short-circuits in a safe way and in short time. Another problem with short circuits is that currents that go through earth can induce voltages that are disturbing objects in the neighboring area, for example pipelines, fences and other metallic objects. Short-circuits can cause mechanical oscillations in generators which can lead to oscillations in the power in the system, causing problems of stability in the power transfer. In the worst case this can lead to a blackout of the system. One last area to consider is that the installed equipment must be able to withstand the thermal and mechanical effects of short-circuit currents. The methods of SCCs have been developed and improved to better meet the requirements from the industry. Nowadays there are a number of different SCCs methods to be used in different cases. Mainly the enhancements have been to, take into account the impact of AC and DC decay resulting from rotating machines. These enhancements vary from simple corrections of sequence impedances to more complex calculations of sub-transient and transient impedances and short-circuit time constants for rotating machines.